For the millions of people who suffer from seasonal allergies, melting snow may not bring a sigh of relief. It can start in early spring. We may still be bundled up, but the air-borne allergens of the next season have arrived. Allergens – substances that trigger an immune response even though they do not pose an actual risk – can affect a wide range of the body’s systems, including the skin, digestive tract, respiratory pathways, sinuses, and eyes. Extreme reactions can be life threatening. And less extreme ones can seriously interfere with people’s quality of life. In fact, allergies are the sixth leading cause of chronic disease in this country. 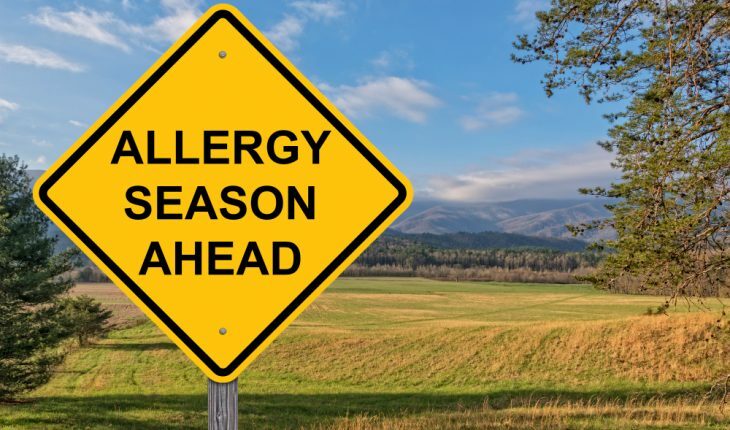 With drug stores offering a dizzying array of anti-allergy products, I want to emphasize the importance of being aware of the range of allergies and the need for customized treatment. With this in mind, I offer the following advice to safely manage seasonal allergies. Pay attention to the particular pollen: We’ve all heard of ‘hay fever, but the reality is that there are lots of pollen varieties, at different seasonal periods – spring versus summer versus fall – and also from plant to plant. An allergist can test to see which pollen is causing a patient’s reaction and customize a targeted treatment plan. “Leaves of three? Let them be.”: Poison ivy, poison oak and poison sumac, all carry the oil urushiol, which can cause an extremely itchy raised rash, a form of allergic contact dermatitis. Serious reactions can include swelling and require medical attention. It’s helpful to learn what these plants look like – poison ivy has characteristic three-leaved stems. And it’s important to remember that pets, clothes, and garden tools can pick up the oil and be sources of exposure. Burning the plants puts the oil airborne and can cause serious reactions to our airways. 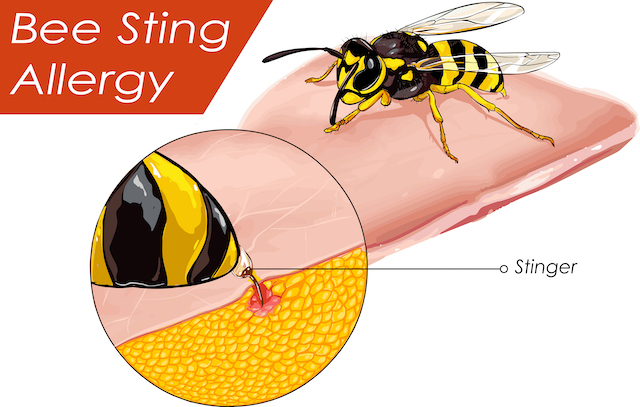 Take insect allergies seriously: It’s normal to experience swelling in the area of an insect sting, but once someone has a more generalized response – swelling away from the sting or other systemic symptoms – it indicates a much more serious allergy. People who experience a first-time bee, wasp, or fire ant reaction require evaluation, because it is likely to happen again and can be severe, including life-threatening anaphylactic shock. Those with severe allergy need to carry two injectable epinephrine doses and immediately seek follow-up medical care and observation. Allergies still bad? Talk with your doctor about immunotherapy: Immunotherapy is an extremely effective means of managing debilitating pollen allergies or dangerous insect allergies. Typically, the patient receives a series of injections that gradually introduce the allergen, re-training a healthy immune response. More recently, we’ve had similar success with sublingual treatments for certain pollen allergies. Pre-vacation to-dos: Check in with your allergist, too: Packing for that summer trip should include allergy meds and, depending on timing, a pre-trip check up. The same goes for parents sending kids off to camp – as well as letting camp staff know of any allergies. Warmer days shouldn’t cause allergy anxiety. We have effective means of alleviating allergies so that everyone can enjoy the season.